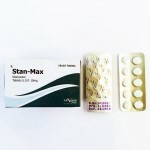 Stanozolol, is a synthetic anabolic steroid derived from Dihydrotestosterone that is used in both oral and injectable form. 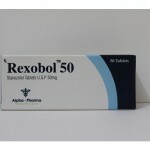 It was developed by Winthrop Laboratories (Sterling Drug) in 1962. 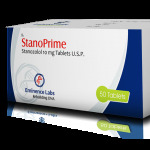 Unlike most injectable anabolic steroids, Stanozolol is not esterified and is sold as an aqueous suspension, or in oral tablet form Stanozolol is used in medicine to treat a condition known as hereditary angioedema which is characterized by occasionally recurring swelling in different parts of the body. This condition occurs due increased water retention in the body of the affected individuals. 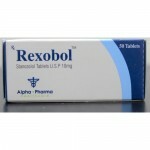 It has also been used to treat anaemia, a disorder characterized by decreased red blood cells in the body. Veterinarians may prescribe the drug to improve muscle growth, red blood cell production, increase bone density and stimulate the appetite of debilitated or weakened animals.